As I do suffer from teeth staining I was keen to give Blanx Intensive Stain Removal, I liked the idea that it claimed to whiten teeth whilst removing stains. 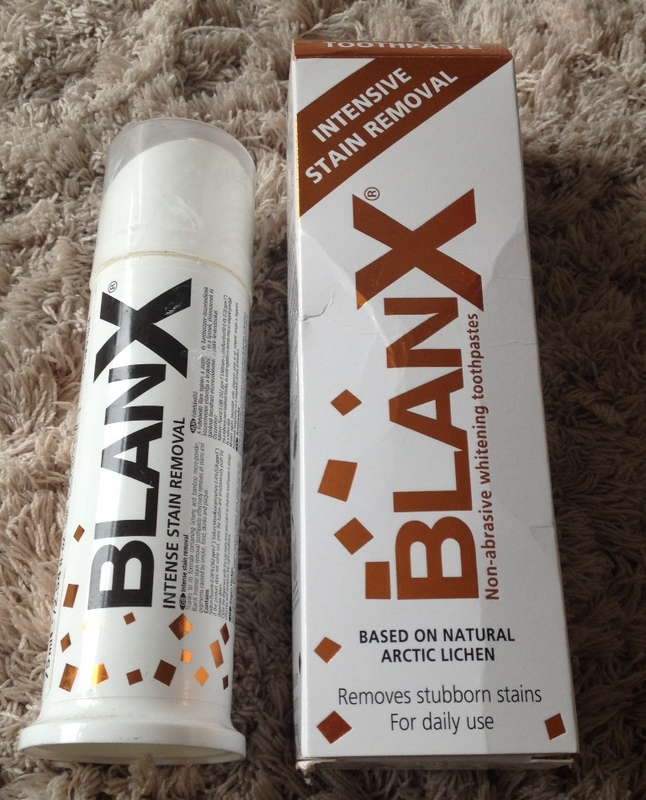 BlanX Intensive Stain Removal with extract of Arctic Lichen. Combines whitening with anti-staining action. Its unique formula removes stains and pigmentation due to smoking, food, beverages and plaque deposits. Contains non abrasive silica for deep and gentle cleaning without damaging enamel. The Blanx range of products are the only daily cosmetic whitening toothpastes that use lichen, grown naturally in the Artic. Lichen contains active ingredients which attach harmful bacteria involved in the formation of plaque and tooth decay - not the beneficial bacteria found naturally in the mouth. The toothpaste comes in a handy pump action tube and taste wise it is nice and minty but not so strong that it almost burns your mouth, I am sure you know the mints that I mean! The toothpaste is smooth in texture and pure white, most of the whitening toothpastes I have tried have bits or feel gritty. Now I must admit I was judging the stain removal on a two week timescale and had a particular stain I was aiming to see disappear. I was disappointed to find it was still there after two weeks but I carried on using this toothpaste (the tube is now almost finished) and actually I have been pleasantly surprised. Whilst using this toothpaste I became pregnant and found it hard to brush my teeth, extreme early pregnancy sickness made me physically unable to contemplate brushing my teeth without gagging or being sick (grim I know!). However I was attending my sister's wedding and I HAD to have beautifully white teeth. I tried my hardest to use it when I could... more recently I have used it religiously twice a day. At some point the stains have gone, especially the one that was my control one! My teeth are lovely and white. 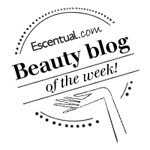 So I would say that you will achieve stain free, whiter teeth but it will take continued use and a little patience. I really like this toothpaste and can see the results, especially in photos.